The Best Power Ferrups FE 500VA to 18kVA ups systems were manufactured until Best was merged with Powerware in 1999. Power Pros still offers expert tech support and battery replacements on this entire product line. These units were custom built depending on the way it was ordered, so to provide you the correct batteries, please call us with your model # and serial # so we can pull the original build sheets. 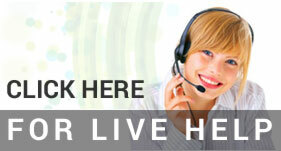 If you have any questions or need to get a quote on replacement batteries, please call 1-888-330-2538. Best Power BAT-0058 equivalent replacement battery. Typically used in Best Power Ferrups ups systems. Quantity discounts. BAT-0053 153302039-001 sealed lead acid replacement battery for Best Power Ferrups ups systems is rated at 12 Volts, 35AH, 148watts. Quantity discounts. BAT-0065 battery for Best Power Ferrups ups systems is rated at 12 Volts, 33Ah with bolt through terminals. Quantity discounts available. BAT-0121 153302036-001 sealed lead acid replacement battery for Best Power Ferrups ups systems is rated at 12 Volts, 50AH. Quantity discounts available. BAT-0103 153302035-001 sealed lead acid replacement battery for Best Power Ferrups ups systems is rated at 12 Volts, 78AH, 300 watts. Quantity discounts. BAT-0122 153302040-001 sealed lead acid replacement battery for Best Power Ferrups ups systems is rated at 12 Volts, 93Ah. Quantity discounts. Please view product details for shipping restrictions due to weight.